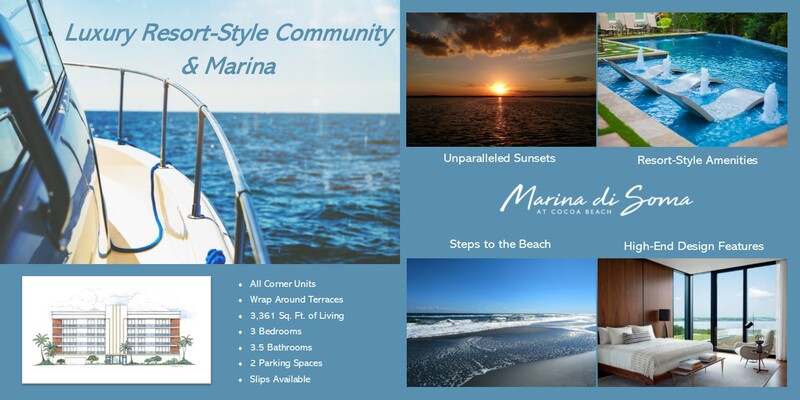 Marina di Soma is nestled between the Banana River and the Beach. 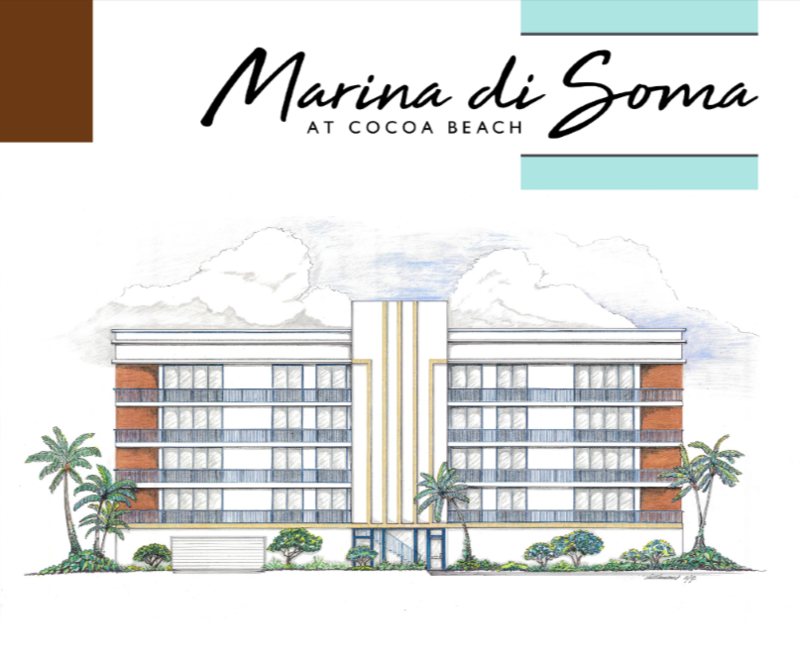 A celebrated beach town on the Atlantic Coast of the Sunshine State provides the setting for an exclusive new resort condominium - Marina di Soma. Located on a thriving island located just 60 miles east of Orlando, Cocoa Beach's charming small town friendliness and world famous beaches make it the ideal place to call home. Refined yet unpretentious, Cocoa Beach is home to world-class fishing, restaurants and legendary tourist destinations. 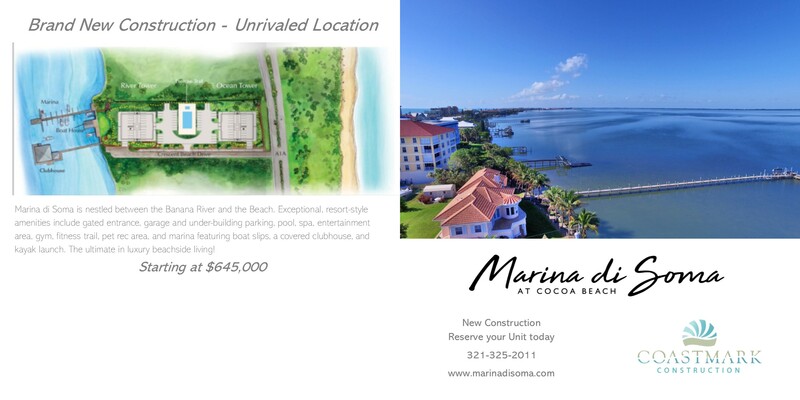 Gated waterfront community with unparalleled amenities: marina, riverfront clubhouse, gym, game room, conference room, theater, gorgeous zero edge pool and spa and first of a kind exercise trail! The buildings were designed for paramount views from every angle: river & ocean. Stunning open floor plan and interior finishes set new levels of contemporary styling. Sleek exteriors bring in elegant tones of natural stones, woods, and steel accents. All corner units with floor to ceiling sliding glass doors open to impressive full wrap around balconies that are over 100 feet long. Electronic storm shutters on terraces. Wonderful 3 bedroom 3.5 baths. Only Condominium Development of its kind for 32 fortunate owners. Taking reservations now!